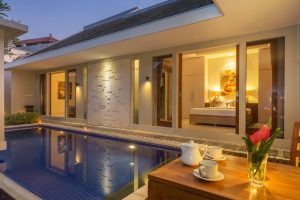 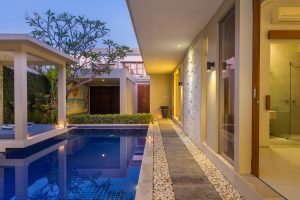 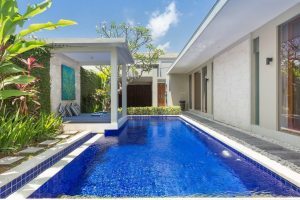 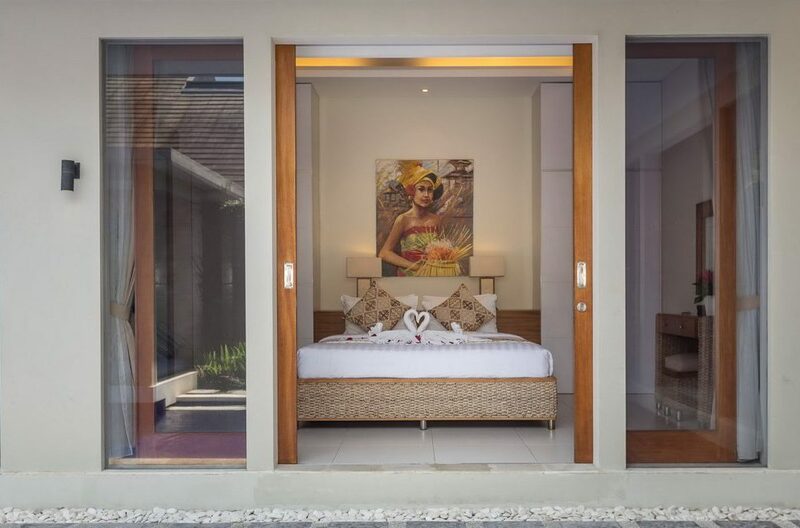 Villa Bali Easy Living is located in the serene Canggu area of Bali and it is a lavish two bedroom villa which can sleep up to 4 guests. 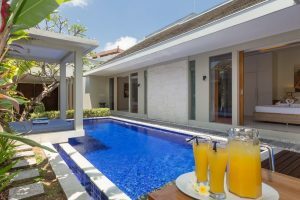 This villa is perfect for families, couples or groups as it is spacious, comfortable, private and luxurious. 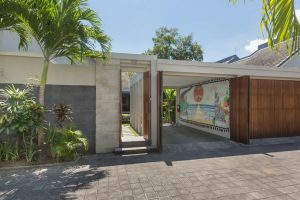 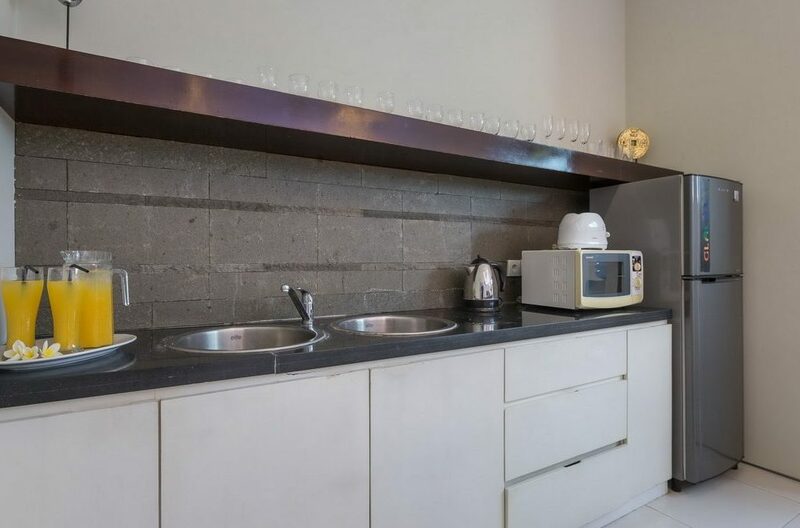 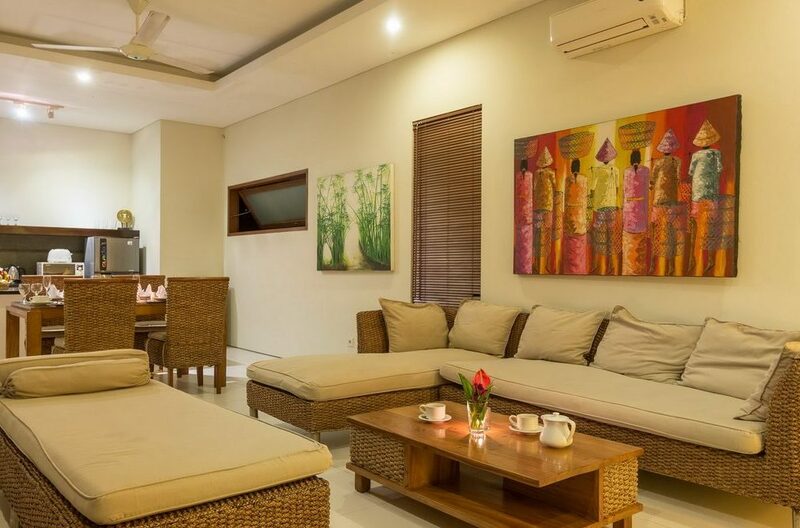 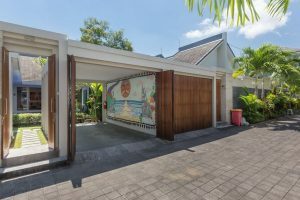 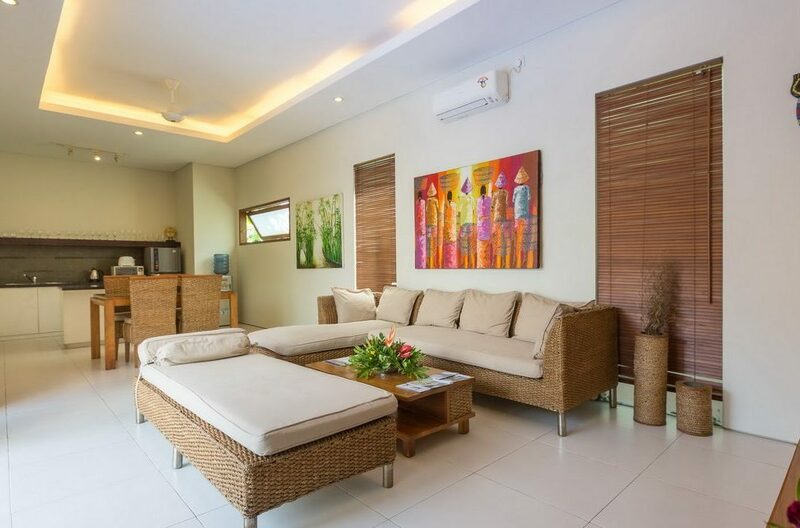 The villa is located within a cozy compound right in the heart of trendy and very popular Canggu. 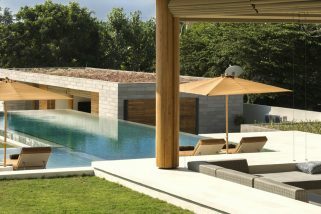 Guests have their own private pool, complete with a poolside bale. 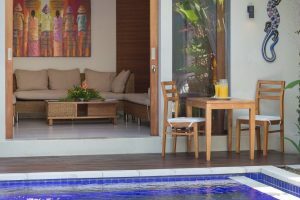 On the pool deck is a two person dining set which is perfect for breakfast or evening drinks. 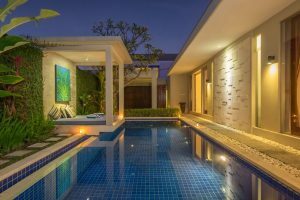 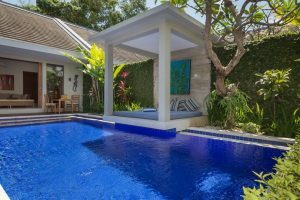 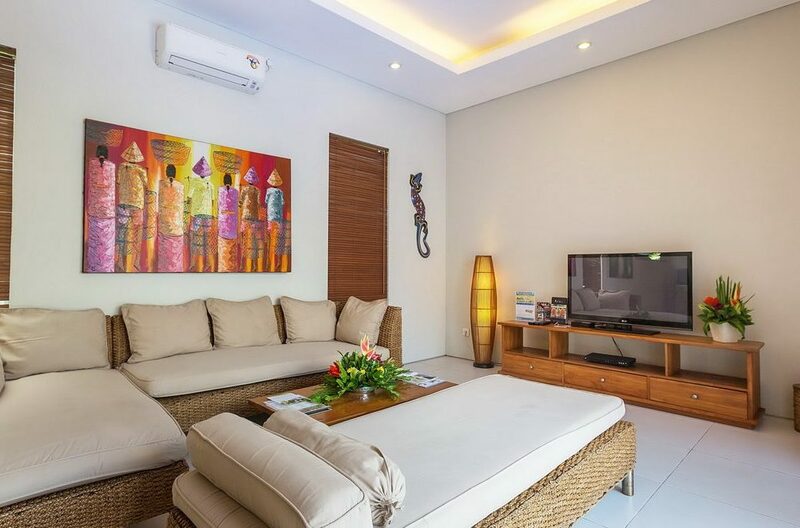 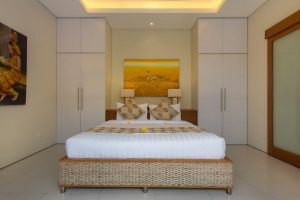 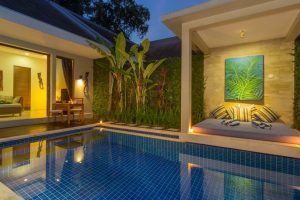 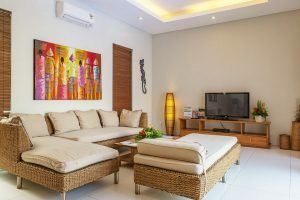 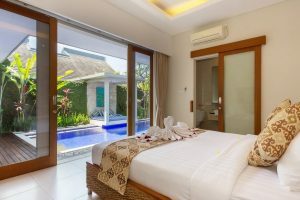 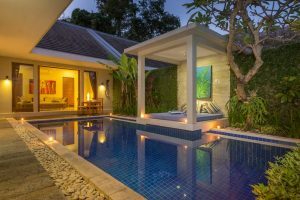 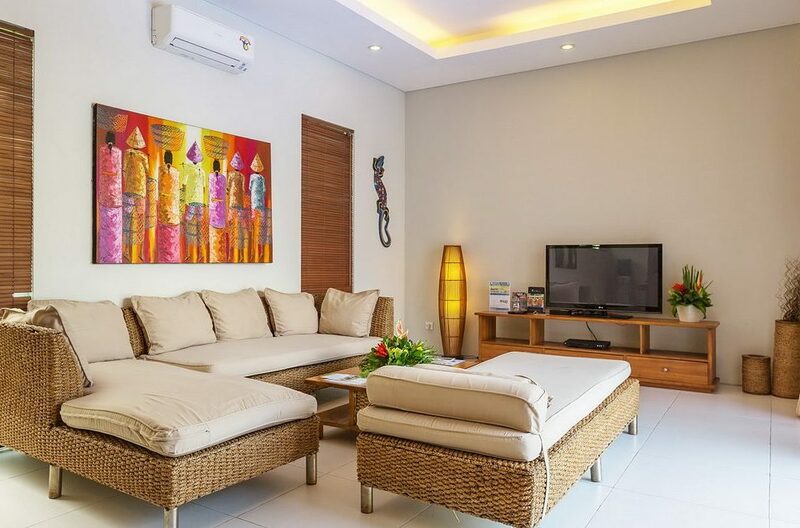 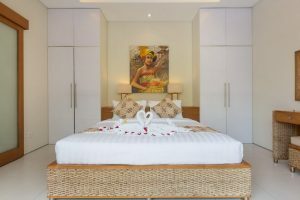 The villa also has a cozy living area right beside the pool and it is furnished with comfortable rattan sofas and flat screen satellite TV for indoor entertainment. 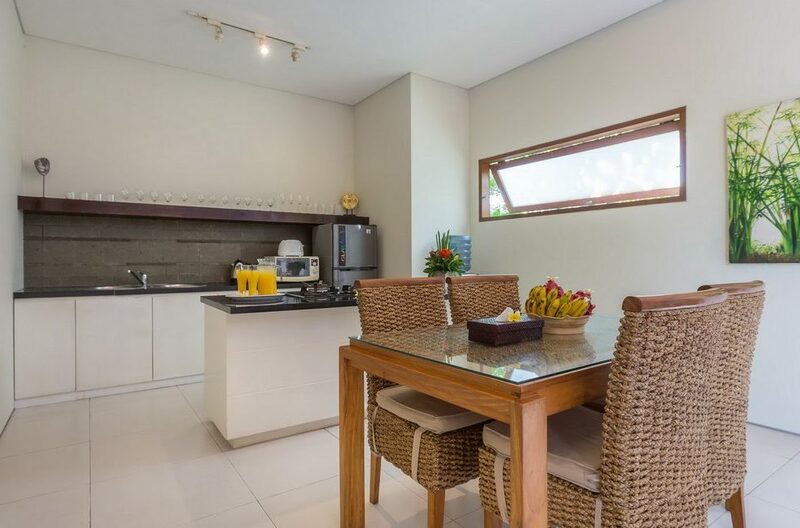 There is also an indoor dining area and a kitchen. 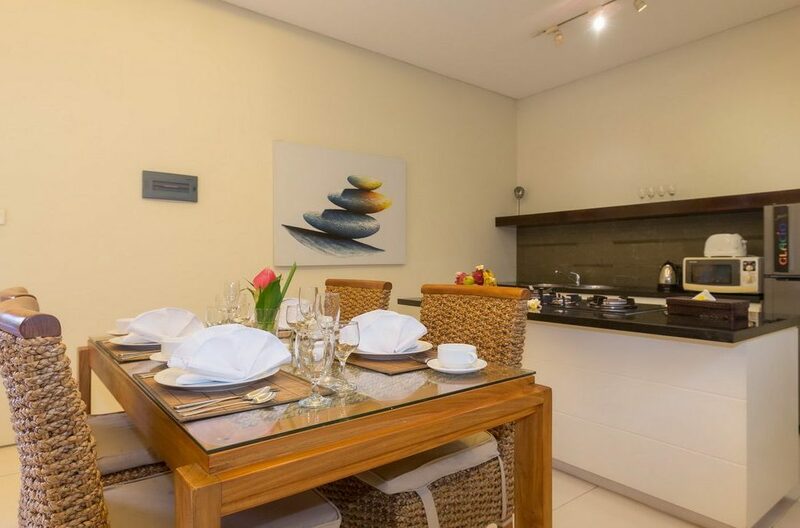 So guests can make their own meals and dine in the comfort of their villa. 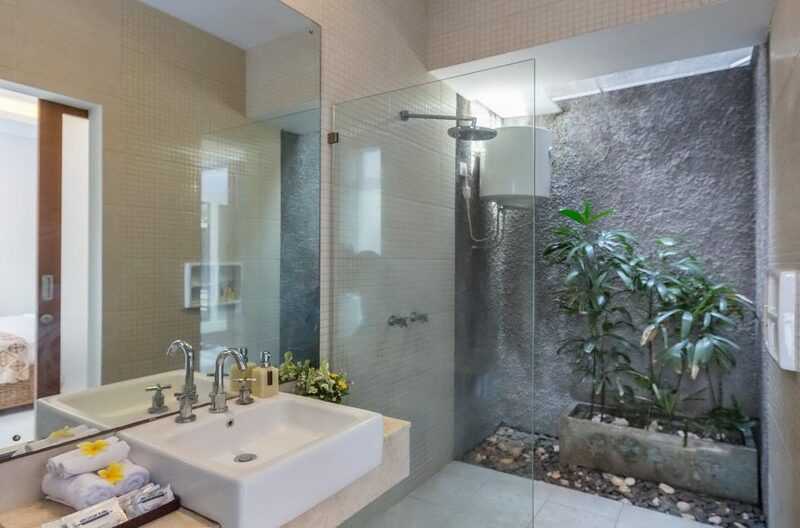 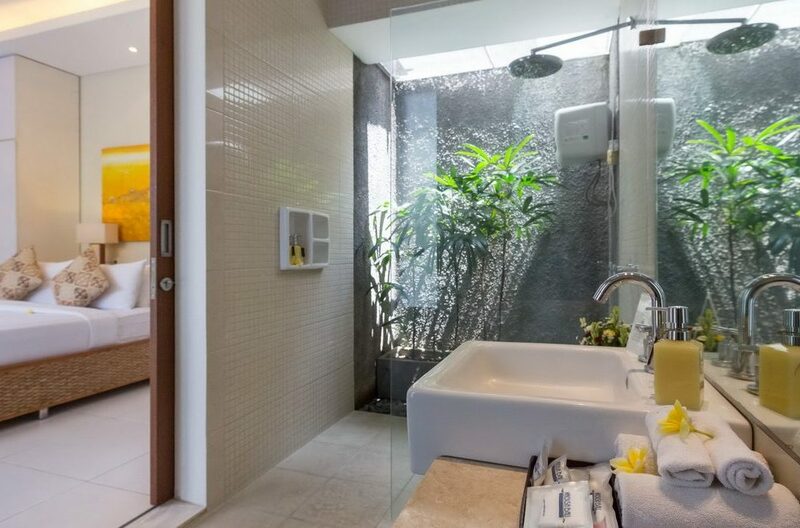 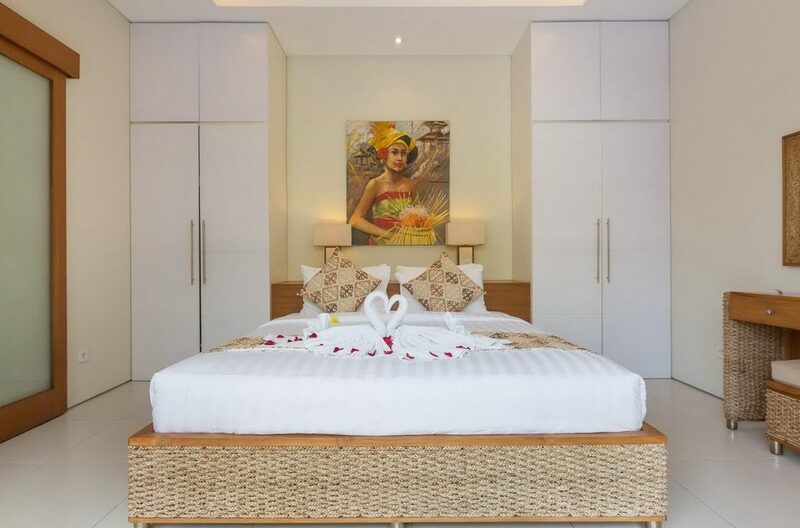 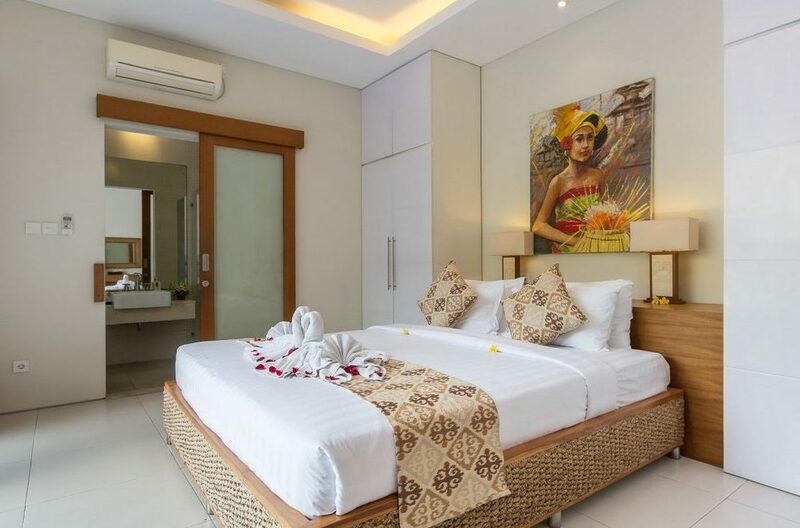 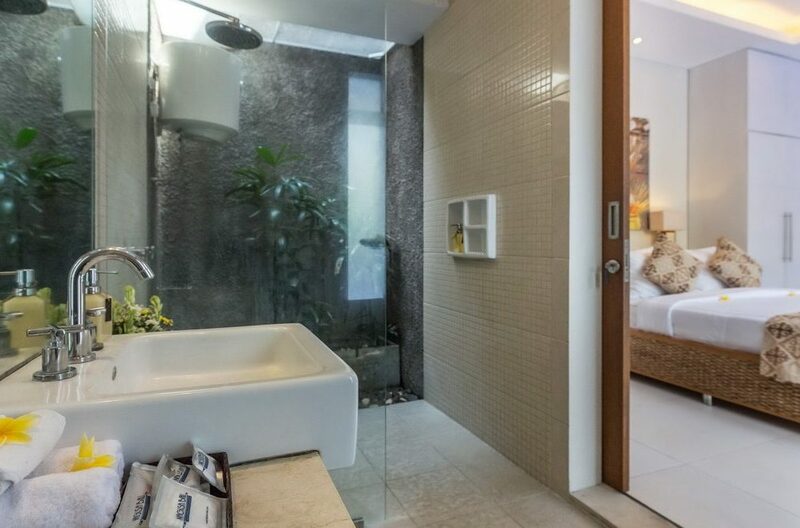 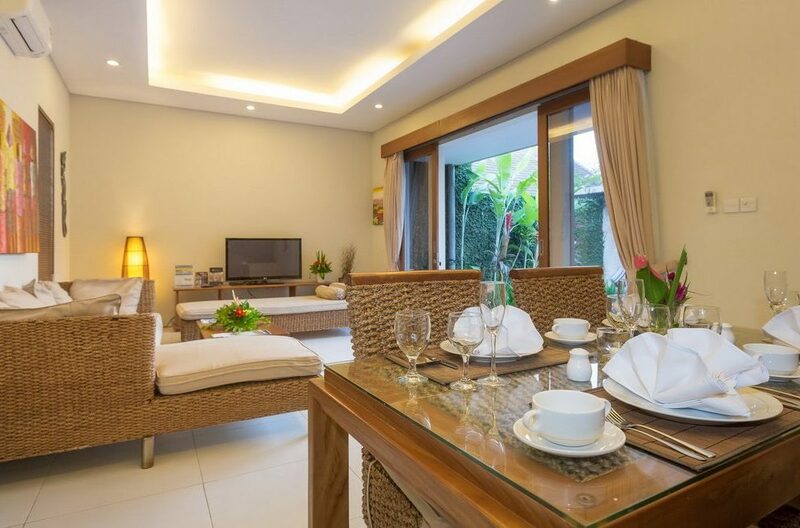 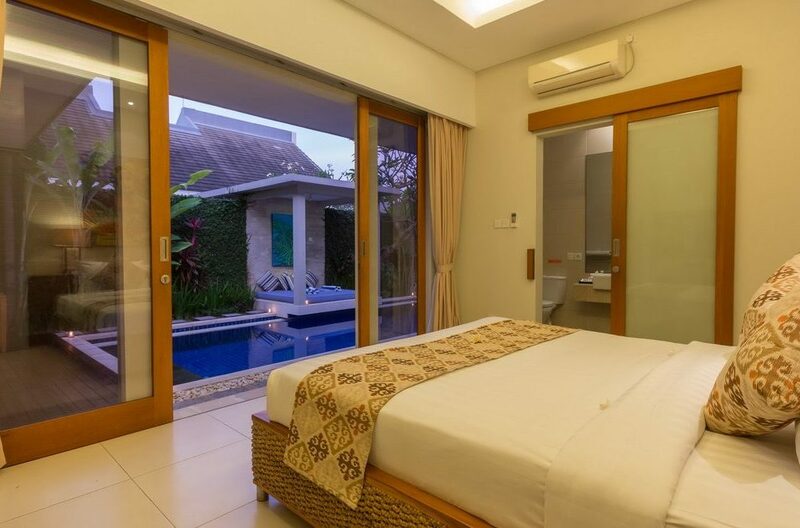 Villa Bali Easy Living boasts of two beautiful bedrooms, each one located in a building right beside the pool. 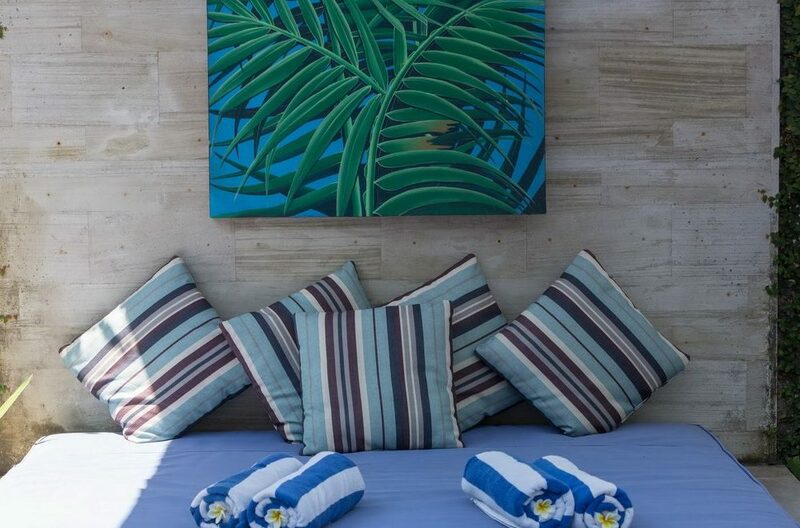 In each bedroom is a queen bed, beautiful paintings, sizeable wardrobes and an ensuite bathroom. 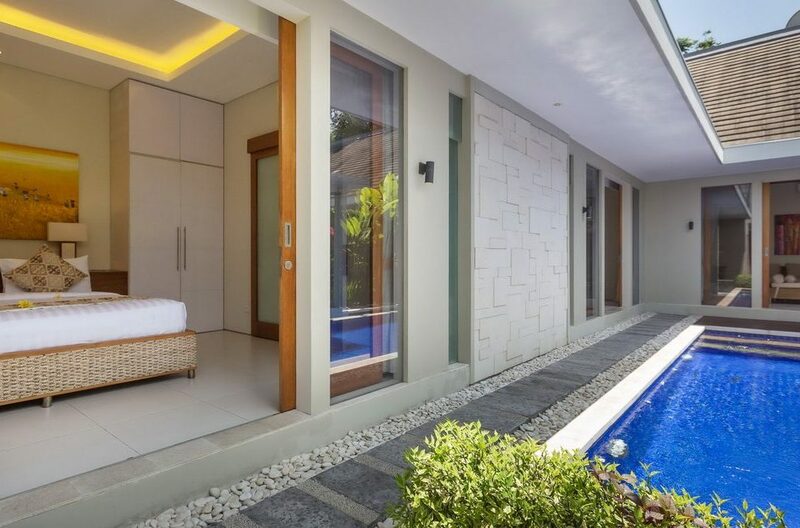 Sliding glass doors lead out from the bedrooms right to the pool deck. 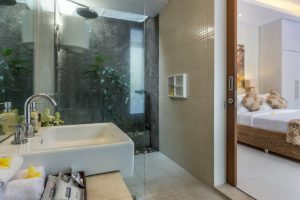 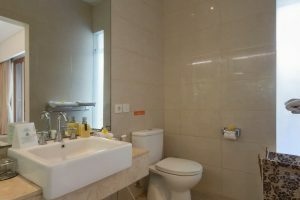 Guests are assured of maximum comfort and privacy while staying here. 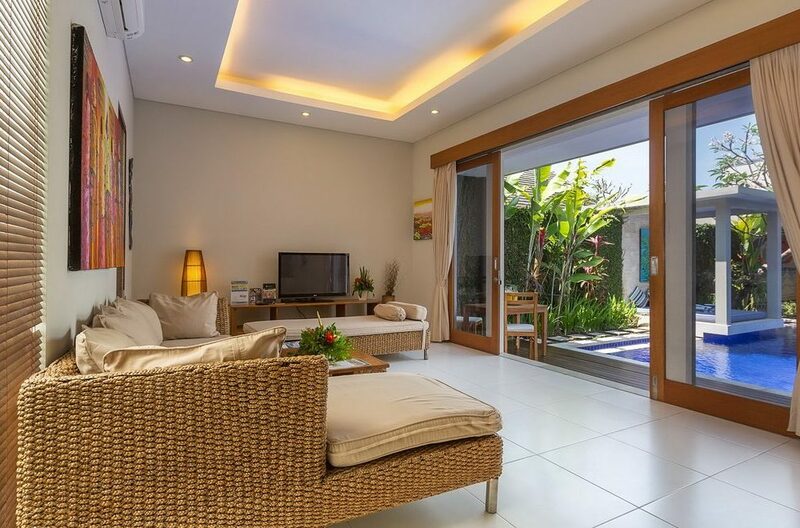 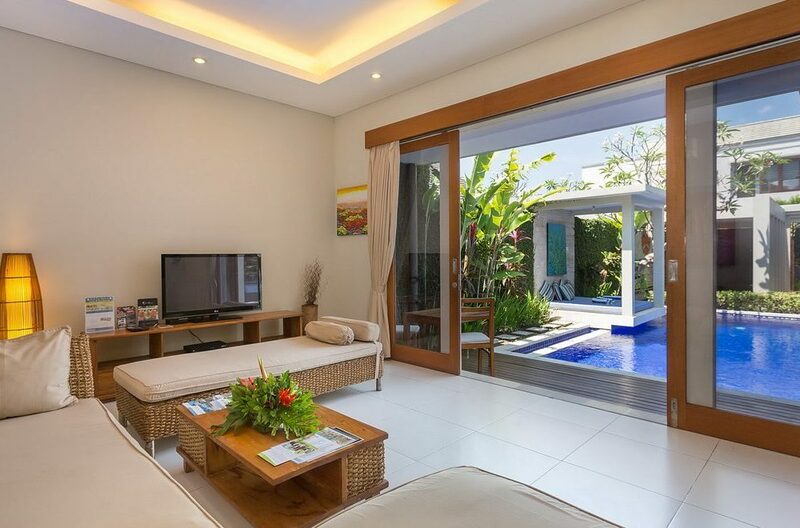 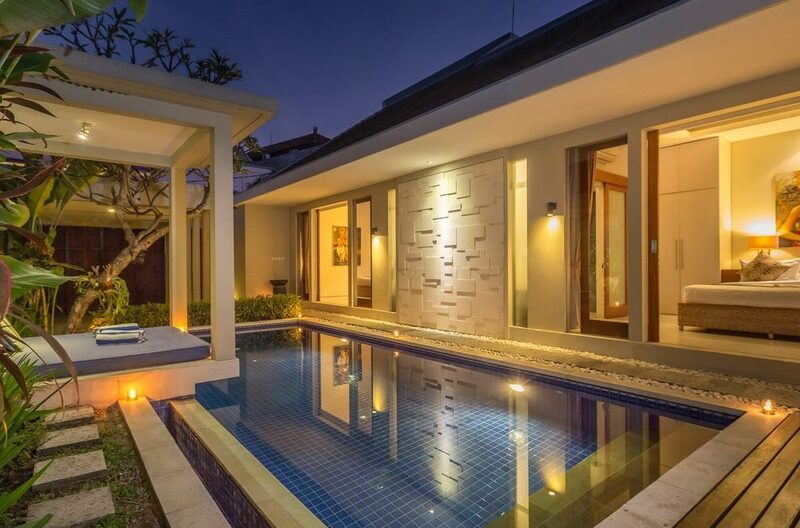 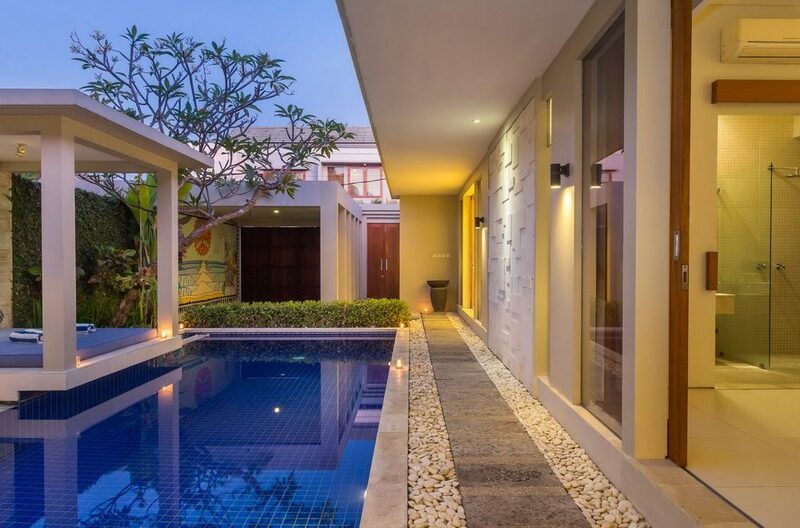 The villa enjoys a prime location in Canggu with everything within proximity. 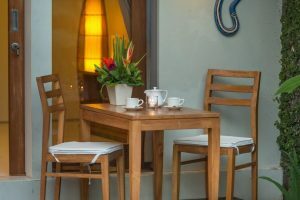 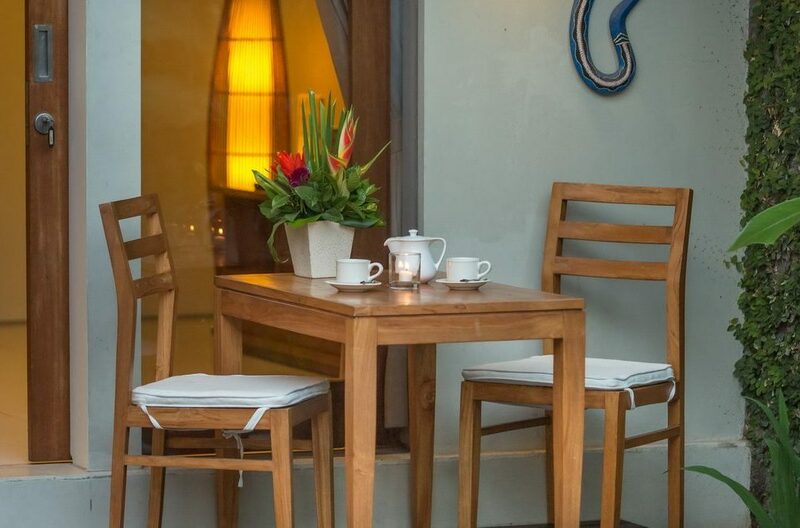 Guests can dine at La Mexicana restaurant, enjoy shopping at Pepito ( to stock up food and groceries to take back to the villa) or Redz surf shop or burn calories at Crossfit Wanderlust. There is something for everyone while staying at this villa. 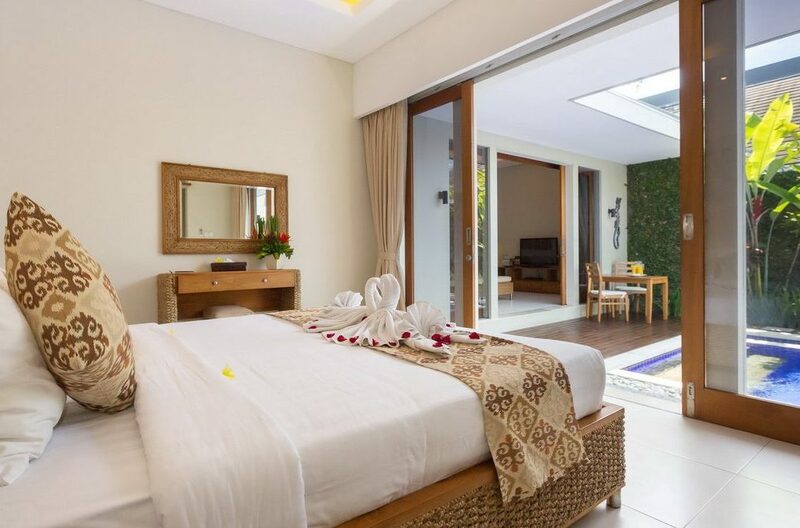 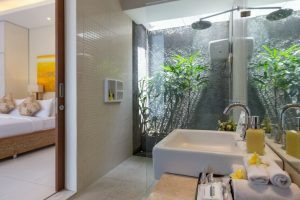 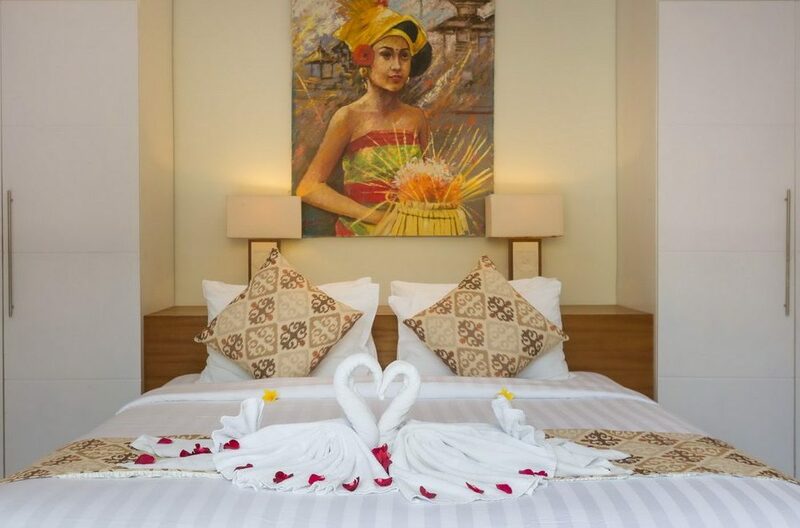 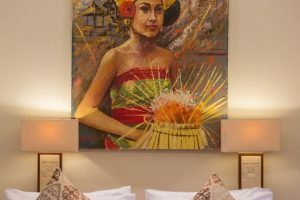 Guests will certainly have an unforgettable Bali experience. 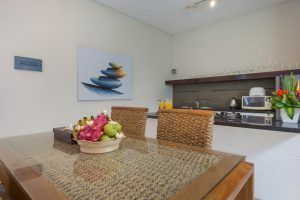 Daily breakfast served in villa. 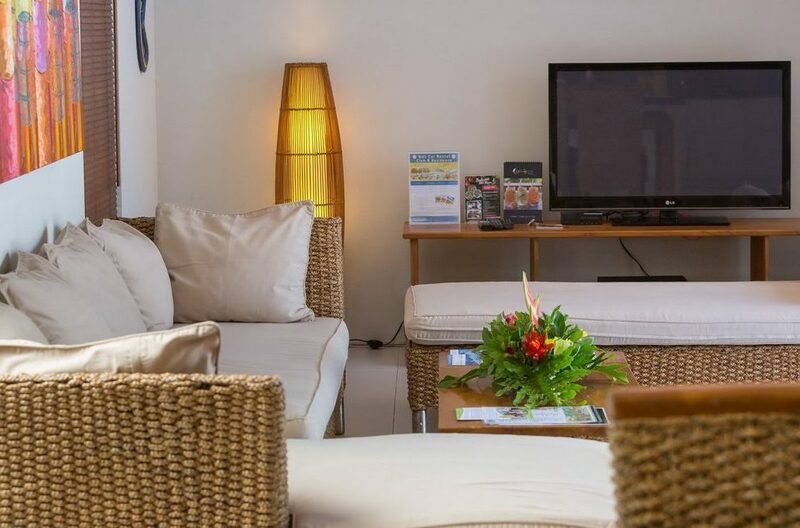 Complimentary wireless internet for 24 hours. Villa Iman is an architectural creation of minimalist design surpasing what any may consider to be standard. Pantai Lima provides provides absolute beachfront living for the guest’s of Villa Melissa. 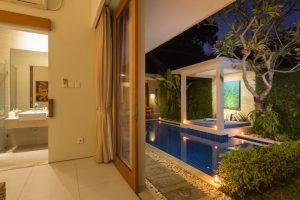 Free of tourist’s guest’s will enjoy an almost private beach only shared by a few local fisherman and the odd surfer.